Lace up those running shoes ladies and gentlemen! 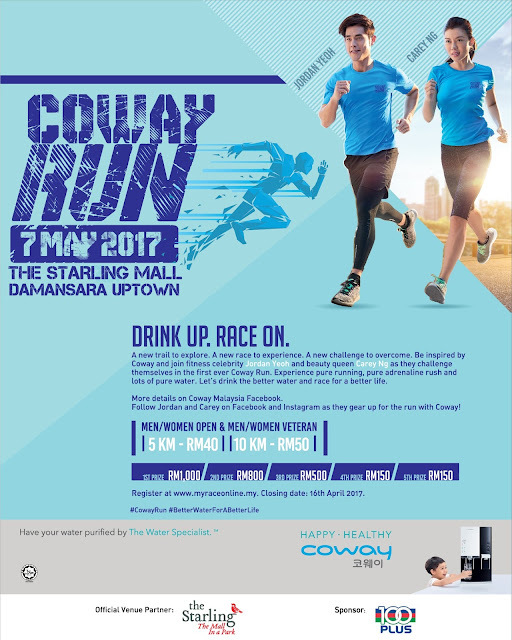 Coway Run 2017 by Coway (M) Sdn Bhd will be making its debut for the first time on 7 May 2017 at the Starling mall, Damansara Uptown, where everyone runs forward together to achieve a healthy lifestyle and, at the same time, inspire others to follow their lead to run and face their fears. Over the past two decades, the act of running long distance by choice has gone from a curious hobby for a few solitary fitness addicts to a full-fledged national phenomenon. Mr Kyle Choi Ki-Ryong (right), Managing Director of COWAY (M) Sdn Bhd. together with Mr Ryan Jung Tae Seung, Head of Marketing Division of COWAY (M) Sdn. 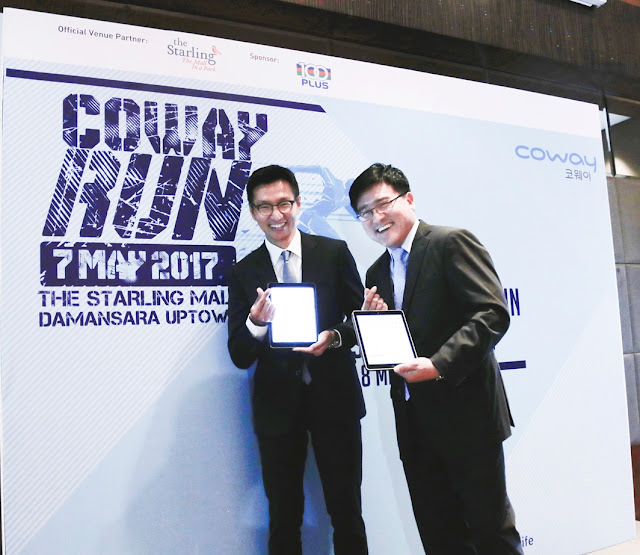 Bhd officiating the launch of the first COWAY RUN 2017, happening on 7 May at the Starling mall. 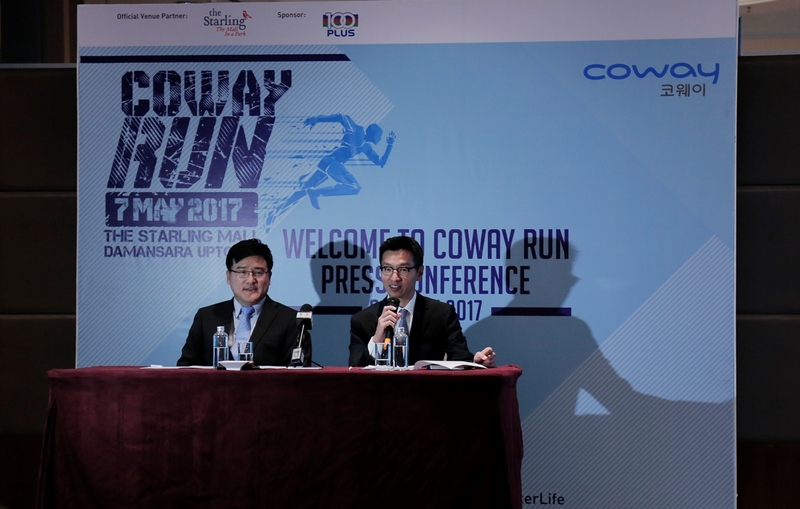 Mr Kyle Choi Ki Ryong, Managing Director of Coway highlighted that Coway Run aims to be a medium for Malaysians to step out from their comfort zones and be courageous to take that first step to a better, healthier life. “This run is not about who comes in first place, it is about summoning that courage to face your fears with a willingness to make a difference, an improvement in your life that will build you to be stronger and confident in tackling new adversities,” said Mr Kyle at the press conference recently. Consisting of a 5KM and 10KM run around the Starling mall area with 4 categories of men and female veteran, men and women open (for ages 18 and above), participants can expect to spot famous Malaysian fitness model Jordan Yeoh and former Miss Universe Malaysia Carey Ng running alongside other runners to cheer and motivate them at every step of the way. Mr Kyle Choi Ki-Ryong (right), Managing Director of COWAY (M) Sdn Bhd. and Mr Ryan Jung Tae Seung, Head of Marketing Division of COWAY (M) Sdn. Bhd officiating the launch of the first COWAY RUN 2017 by registering as runners for the run, happening on 7 May at the Starling mall. 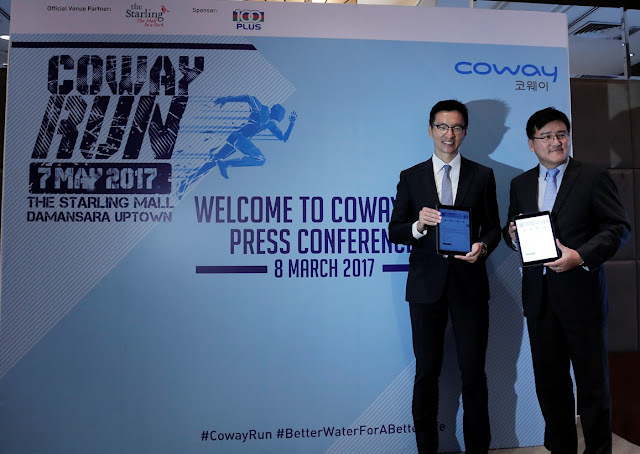 Aimed at breaking the stereotype that portrays long distance running as exercise only meant for professional athletes or ‘fit people’, Coway Run wants to instil the mind-set that every step taken is a beginning to a better life. Jordan Yeoh and Carey Ng are living proofs that show how even a beauty queen and fitness model can also overcome the challenge of a 5KM and 10KM run respectively. As the ultimate water specialist, Coway is devoted to promoting a wellness lifestyle for all and wishes to remind participants to take care of their health and undergo light training beforehand to ensure they will be in optimal condition for the run. 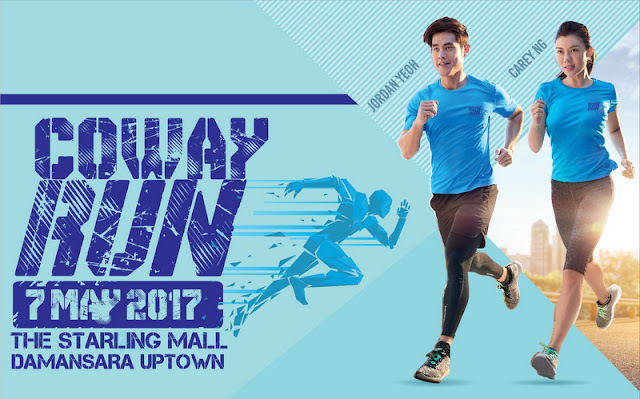 Coway encourage its runners to check through Coway’s official Facebook page for some running tips and guide for participants, and a running clinic will also be held to prep Coway’s runners for a pre-run preparation. In addition, to replace the fluid lost during the run, Coway will be placing three giant water purifiers at all three water stations to ensure that participants will stay hydrated throughout with the best choice of water, the better water from The Water Specialist. “At Coway, we believe that every generation deserves the best,” added Mr Kyle. “By organising Coway Run for the first time, this will help Coway to establish a relationship with the community in venturing a lifelong journey together; involving the community in doing something that gives them passion, and giving them the opportunity to share that achievement. “This highly anticipated run could be a new beginning for participants, where they can meet people whom they share the same interests with, bond with them and motivate each other in their steps to a healthier life. Nothing beats finding people to share the feeling of satisfaction when the finishing line is reached,” said Mr Kyle. Coway believes that with the adoption of a healthier lifestyle and through drinking Coway’s better water, individuals would be able to reduce healthcare-related costs, improve productivity in their daily lives and achieve overall better health and a robust organ system, therefore making their lives better and happier. Official sponsors of the Coway Run include the Starling mall and 100Plus. 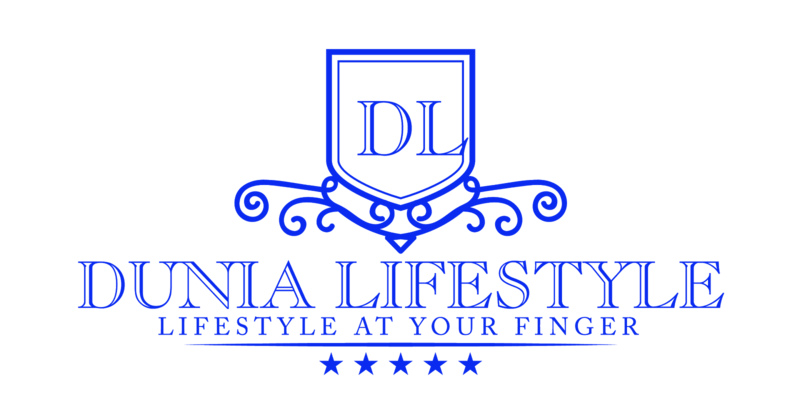 Interested participants are welcome to register themselves at www.myraceonline.com.